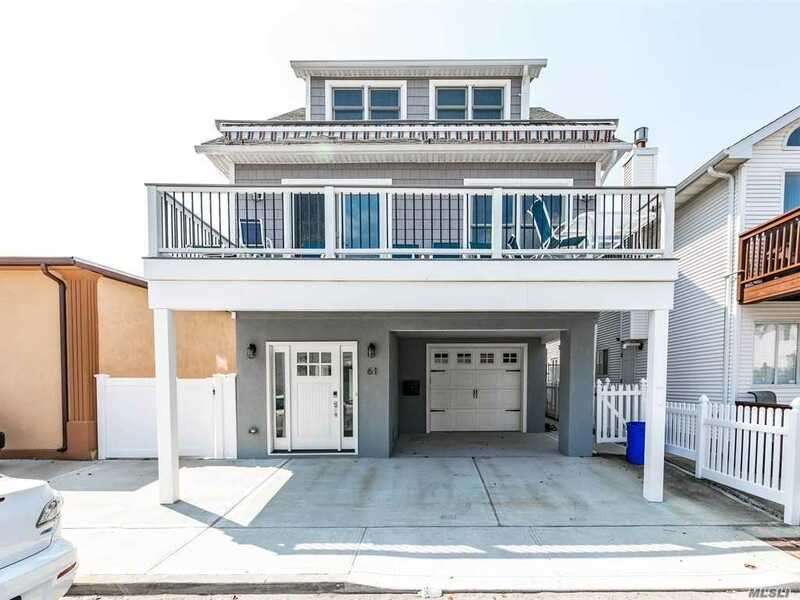 Beautifully Renovated And Recently Lifted Fema Compliant Home In The Heart Of The West End Of Long Beach....Central Air, Front And Rear Decks, Extra Large Fenced In Side Yard W/ Usage Easement Leading To Outdoor Shower & Stairs Up To Bbq Deck Off Of Kitchen. See The Ocean And The Bay From Your Front Terrace. Extra Deep Garage W/ Side And Rear Storage. Deep Driveway. Foundation/Entry Level Has 2 Heat/Ac Split Units. Laundry Room, Outdoor Shower, This Is The Home By The Sea! 2017 Renovation!